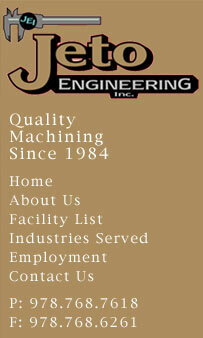 Jeto Engineering began as a family business in our home basement with only one machine. While we are still family-managed, our business has expanded considerably. From our new facility at 191 Western Avenue in Essex, Massachusetts, we service customers across the country with production lot runs from 1 to 50,000. 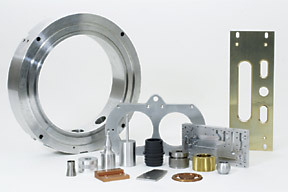 We machine a wide variety of materials including plastics, OFHC copper, tungsten, invar and kovar. At Jeto, we believe in partnering with our customers to provide quality parts at competitive prices. And, we believe no partnership is successful without some flexibility. Therefore we offer a range of delivery options to meet your scheduling needs. 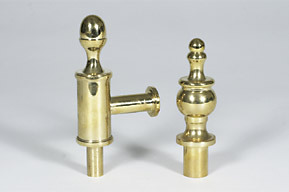 At Jeto, we have designed our business with our customers in mind. It is our goal to offer you value, reduce your turnaround time and the help you need to succeed.